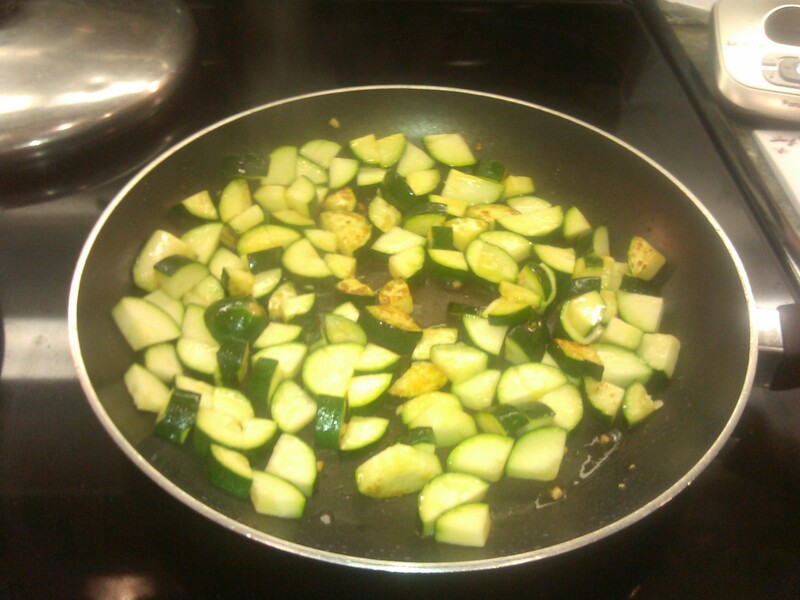 This is one of those dishes that I saw in my head when I bought the two zucchinis in the produce section. Cook the pasta about ten to 13 minutes or until cooked throughout but not mushy- or “to the tooth” as we Italians say…al dente. While the penne cooks-in a large deep skillet pan-because it will boil faster than in a massive traditional style stock pot. Boil for about ten or fifteen minutes, testing doneness every few minutes at the end of cooking time. 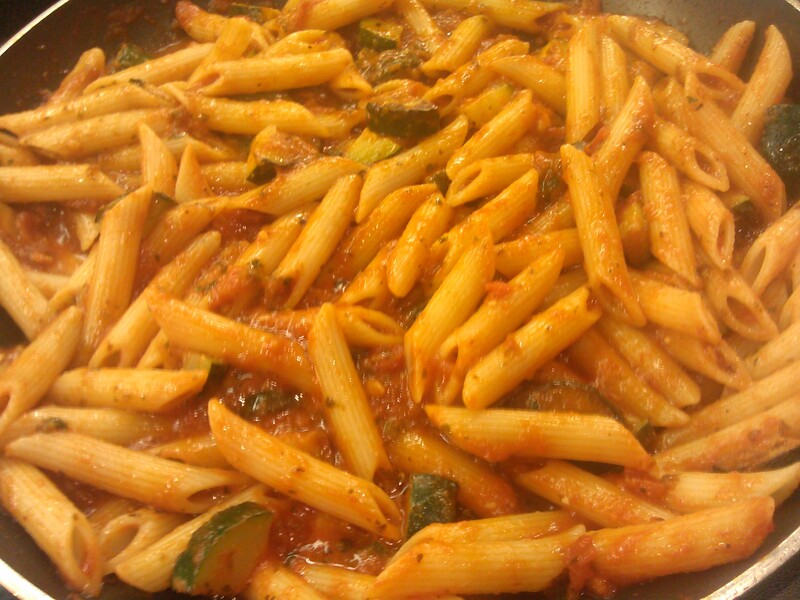 Take a noodle out and cool it and test for cooked but not mushy-al dente style. 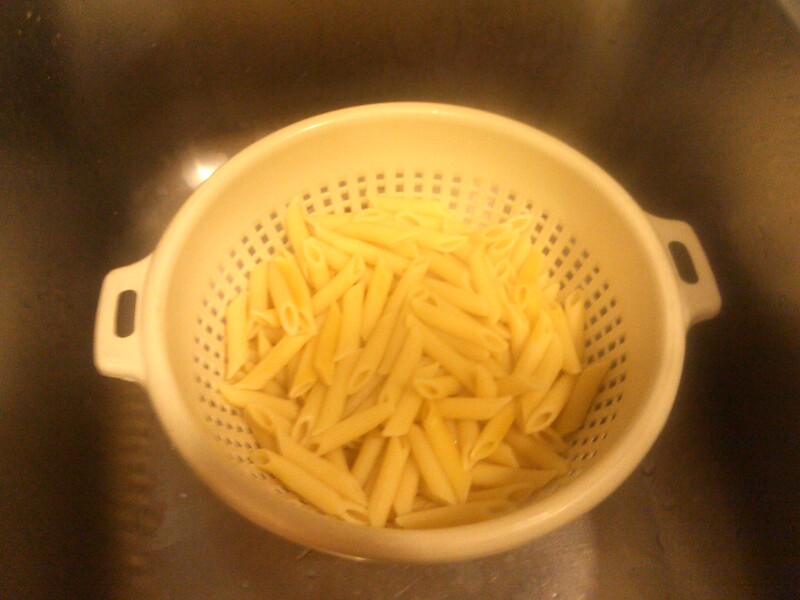 Put a colander in the sink and drain the pasta. 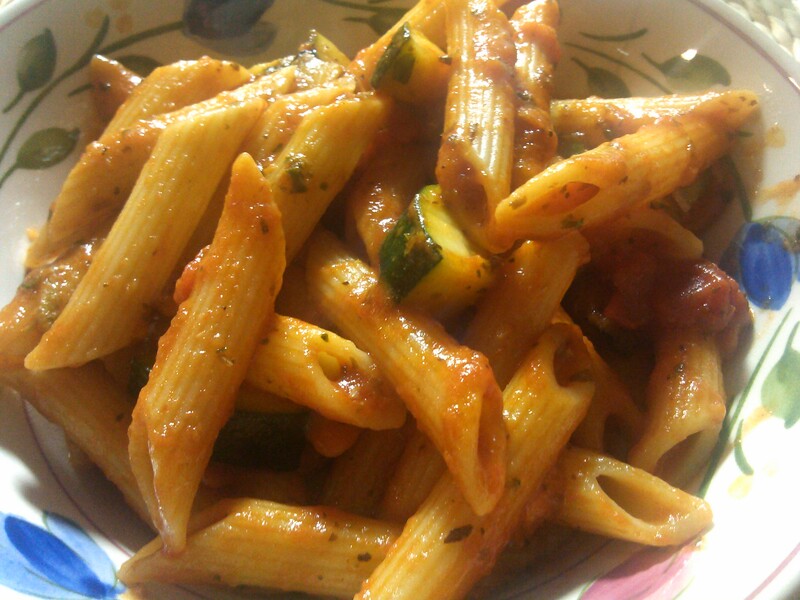 Add the pesto marinara to the sauteed zucchini, and add in the cooked penne, and then about 3 tablespoons of CIBA Naturals Pesto (available at Whole Foods Market). 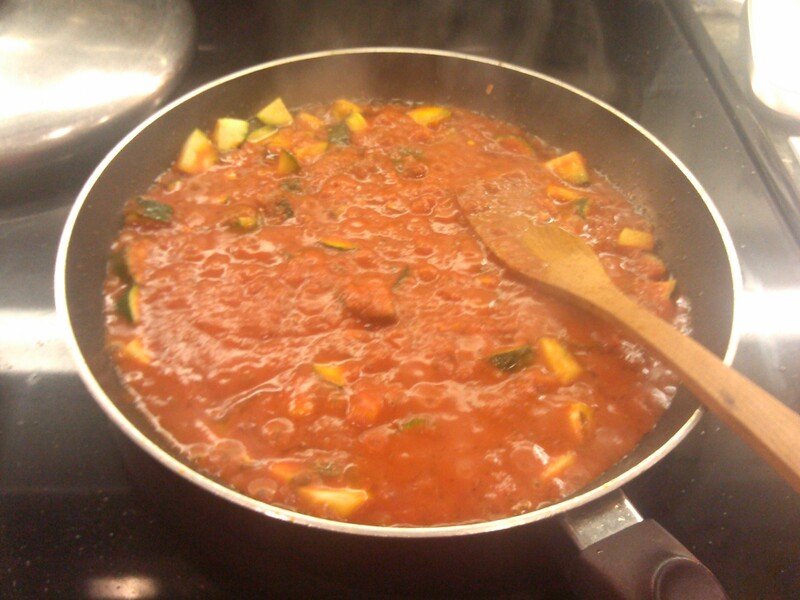 BTW, nobody will ever notice this is a vegetarian dish. You could cook up some sweet Italian sausage links to serve on a platter-if you served a large crowd. Then the vegetarians will be happy, but you can please the meat eaters too! Thane and Mary Sue will love tasting this tomorrow! Mary Ann’s grown up children coming tomorrow. Last time Mary Sue made a wonderful Al Fresco Feast we all indulged in at Dana Point Harbor for Mother’s Day. All of Mary Ann’s family has welcomed me with open arms and are appreciative of the kindness and help I give their mother each day as a caregiver. I want to have them all over for a Lasagna Fest one day…making the recipe my dad made and his father made who was a chef.